Betta Sweep Industrial Sweeping has a range of the latest state-of-the art industrial sweeping machines and power sweepers, to provide our clients numerous sweeping solutions throughout Melbourne. Industrial sweeping can help increase productivity, increase worker safety, reduce product contamination and can maintain a businesses professional and quality image. We offer a professional industrial sweeping service and have a strong commitment to providing our clients with a prompt, reliable and efficient service, with the job completed to the highest standards, first time, every time. 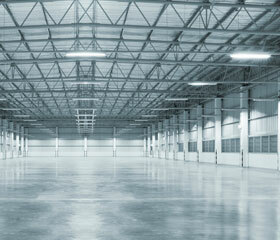 Sweeping is a fast and effective way to clean large warehouses and factories. Dirt and dust can damage plant and equipment as well as pose many OH&S issues. Betta Sweep’s large range of industrial sweepers and sweeping machines can provide sweeping solutions for businesses, factory complexes, distribution centres and other facilities of all types and sizes. This includes specialised sweeping machine and srbiing machines for the food industry including battery powered scrubbing machines that utilise the latest in dust suppression technologies. Don’t let dirt build up and ruin your stock or let dust become an OH&S hazard. We provide, once off cleans as well as routine sweeping maintenance of your premises to the highest standards to ensure your warehouse or factory is clean, safe and tidy. 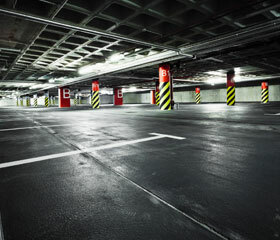 We sweep car parks that are frequently used and require regular sweeping in order to stay clean. Dust, grease and oil cannot only discolour the car park floor surface making car parks uninviting and unsightly. If a car park is not maintained on a regular basis, it can also be a risk for users with possible insurance related ramifications. We use a range of state of the art sweeping machines are designed especially for car park sweeping. Our machines are fully equipped with dust filtration systems to ensure dust is kept to a minimum when sweeping occurs. Our car park sweeping machines also remove tough stains caused by oil and grease to provide a total clean and a safe environment for car park users. Over the years we have partnered with Councils, property developers and builders to provide a range of street sweeping services. In some cases these have been regular maintenance programs for street and footpath sweeping, as well as once off sweep and cleans for property developers, and builders, including pre-cleans for grand opening ceremonies in order to provide a professional and tidy finish before a property hand-over. Medical facilities and hospital roadways and car parks get frequent use and need to be kept clean on regular basis. No doctors, dentist, hospital or other specialty medical centres wants to look uninviting and unsightly. Betta Sweep delivers a range competitively priced sweeping services for business that require a high standard of cleanliness for once off cleans as well as regular maintenance. Body Corporate sweeping of strata managed commercial and residential units, offices and apartment block swepping is a service we provide on a regular basis. We help Property Managers maintain a clean and safe property environment to assist maintain property values and adhere to common area insurance obligations. Betta Sweep with its large range of versatile sweeping machinery has the right equipment available to provide sweeping applications for a range of special events. We are happy to discuss your specific requirements for your next event and provide a detailed quote to complete the task.